Alan's odyssey ended in September 2008. 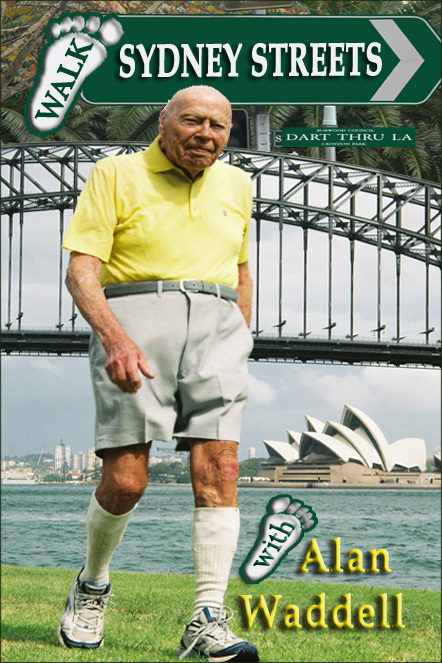 He left behind the contents of the book, Walk Sydney Streets with Alan Waddell, which has now been finalised. Whether you are in Sydney or on the other side of the world, you will find Alan's collection unique. He guaranteed that the quirky gems of Sydney will brighten your day and encourage you in your journey towards fun and fitness. A wonderful book by a man who inspired me. Received my book and have read it and it is brilliant. Just love it. First select the order type in the drop down box below then click on "Add to Cart". Prices are in Australian dollars and include postage. Please email us with details of the deposit so we can match it with your order and please include your mailing address.